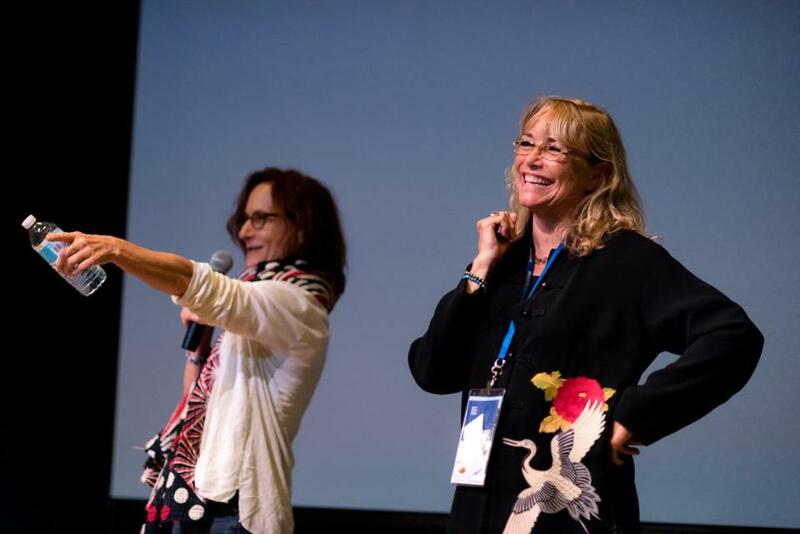 Filmmakers Susanna Styron (left) and Karen Allen at the Woods Hole Film Festival. For many years, Woods Hole Film Festival winners had local ties. The prize films were made about — or by people from — New England. But this year, the list of honorees is broader — and international. The prize for best narrative feature — comedy went to “What Children Do,” by Minnesota’s Dean Peterson, about sisters who take care of their grandmother; the award for best narrative feature — drama went to Byron Davis’s “Jagveld,” a South African film about a woman who witnesses a murder; the prize for best documentary feature went to Madeleine Gavin’s “City of Joy,” about the women’s leadership center in the Democratic Republic of the Congo; and the best animation short went to Simon Hewitt’s “A Little Grey,” out of Mexico. Laster noted that while the audience and jury’s tastes have aligned in recent years, that didn’t happen in 2017. Audience awards went to Christopher J. Hansen’s drama “Blur Circle,” Louisiana Kreutz’s comedy “Quaker Oaths,” Thomas D. Herman’s “Dateline-Saigon” for best feature documentary, and Han Zhang’s “Stars” for best animated short. The big star at the festival this year was actress Karen Allen, who screened her directorial debut, “A Tree. A Rock. A Cloud.” Allen also took part in the festival discussion “Survival Strategies for Independent Filmmakers” sponsored by Women in Film & Video/New England.